Its been a busy few months. I moved in to a new shop and now I need to create some storage and organization for some of my tools and equipment. The first project was this drill charging and sanding station made out of baltic birch plywood and attaches to the wall with a french cleat. Thanks for watching! 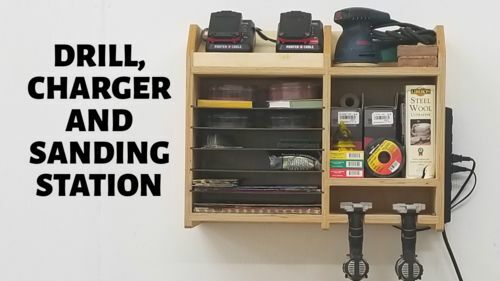 Good video, I might have made the space bigger so you could hang a drill with battery attached but I like it.